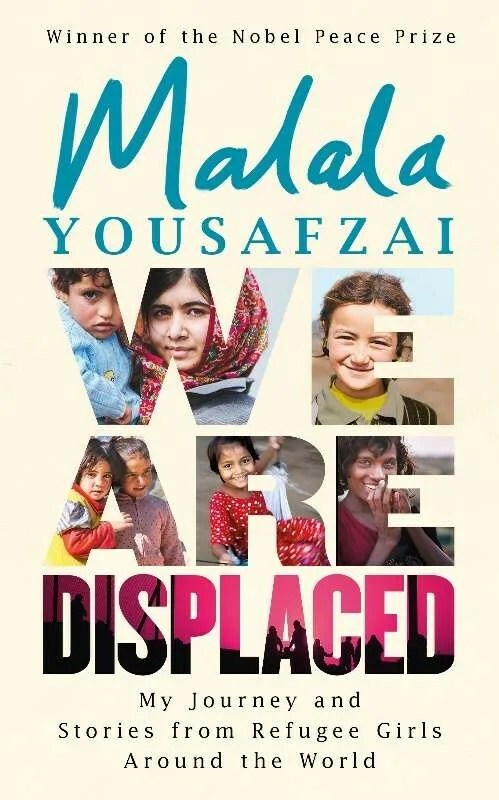 Nobel Peace Prize winner and bestselling author Malala Yousafzai introduces some of the people behind the statistics and news stories we read or hear every day about the millions of people displaced worldwide. Malala not only explores her own story of adjusting to a new life while longing for home, but she also shares the personal stories of some of the incredible girls she has met on her various journeys – girls who have lost their community, relatives and often the only world they’ve ever known. In a time of immigration crises, war, and border conflicts, We are Displaced is an important reminder from one of the world’s most prominent young activists that every single one of the 68.5 million currently displaced is a person – often a young person – with hopes and dreams, and that everyone deserves universal human rights and a safe home.